Join me on Saturday, November 26, 2016 for the Tag Team 245 radio interview on Rave Waves BlogTalkRadio! Welcome to RAVE REVIEWS BOOK CLUB’S BlogTalkRadio production of RAVE WAVES “TAG TEAM 2*4*5,” where Co-Hosts BILL WARD and JOHN W. HOWELL, are joined by new members AMIE O’BRIEN, LAURA LIBRICZ, BOB KERN, and COREY KNUTSEN. Join us as we become better acquainted with some of the newest additions to our RRBC family, and their books. The show will be live 12.00 CT, that’s 1 pm EST, 6 pm in England and 7 pm in Germany. You can join in with questions and comments via Twitter using the #RRBCTagTeam245 hashtag. See you there! This entry was posted in Uncategorized on November 24, 2016 by lauralibricz. Today I’m over at Jessica Cale’s DirtySexyHistory talking about masters and their maids. Have a look! This entry was posted in Uncategorized on November 21, 2016 by lauralibricz. The tree line glows a warm golden brown in the late afternoon sun. A hawk calls as he sails over the tops of the spruce trees. The smell of fallen leaves and fungi make me leave the path and venture into the brush. This is the season for a popular German pastime: Volkssport Pilzesammeln. Collecting mushrooms is a learned talent. Either you’ve had some guidance or you don’t touch the things. Many varieties are edible and downright delicious. I have a colleague who finds Boleus (Steinpilz) the size of a baby’s head when she jogs in the woods. She jogs home and fries them in butter with a bit of onion and garlic. 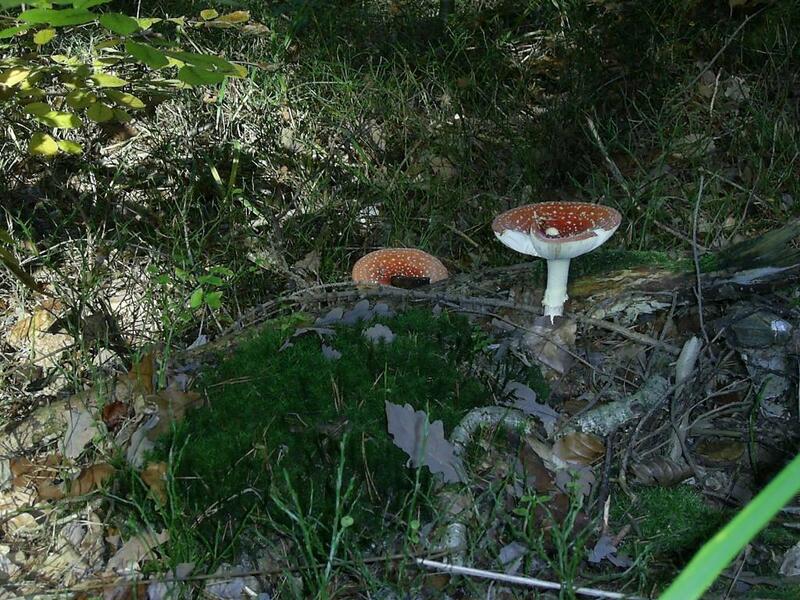 But for every edible mushroom, a poisonous doppelganger exists. I bought a book to try to learn to tell them apart. The differences are so minuscule that a mushroom hunt on my part would be preprogrammed for disaster. These were beauties. I was so pleased that I had my camera in my pocket. The name comes from its use as a pesticide. They were crushed in milk and used to kill flies. Yes, they are toxic, but no deaths by ingestion have been reported. And they can be eaten. The Chinese remove the red covering from the meat, marinate overnight and then sauté in butter with few side effects. Siberian shamans used the mushroom to travel ecstatically into a godly world. 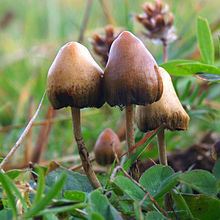 After he consumed the mushrooms, tribal members were known to drink the shaman’s urine, because the active ingredientsof the fungus practically passed through the body unchanged and in the form of urine, still retained the intoxicating effects. This entry was posted in Food and Drink, Germany on November 14, 2016 by lauralibricz. Thanks to Cryssa Bazos for letting me join her on her blog! I have the pleasure of welcoming historical fiction author, Laura Libricz, whose novels take place in 17th century Germany. On June 10th, she is re-releasing The Master and the Maid, the first novel of her Heaven’s Pond trilogy. Today, Laura introduces us to the Thirty Years War, that took place in the beginning of the 17th century in Central Europe. The events of the Thirty Years War had a profound effect on European and English History; many of the later English Civil War leaders received their training during this time. But in the beginning, there was the Winter King and the Queen of Hearts…Take it away, Laura! This entry was posted in Uncategorized on November 12, 2016 by lauralibricz.